Kenny, Nicolas. "Francophones of British Columbia". The Canadian Encyclopedia, 07 June 2016, Historica Canada. https://www.thecanadianencyclopedia.ca/en/article/francophones-of-british-columbia. Accessed 23 April 2019. ​The francophone presence in British Columbia has its origins in the colonization of the Pacific Northwest by Europeans at the turn of the 19th century. The francophone presence in British Columbia has its origins in the colonization of the Pacific Northwest by Europeans at the turn of the 19th century. French Canadians, Iroquois, Métis and other French-speaking Aboriginal people working in the fur trade, as well as Roman Catholic missionaries sent to the region to convert long-established Aboriginal communities to Christianity, made French the most widely spoken European language in the region until the late 1850s. The Fraser River gold rush and the creation of British Columbia as a colony in 1858 resulted in a significant decrease in the proportion of francophones in the population, and in their rapid linguistic assimilation. Throughout the 20th century, however, numerous French-speakers continued to settle and live in British Columbia. Supported by a wide variety of cultural organizations and a provincial federation, the community has long strived to obtain formal recognition, particularly with respect to minority-language education rights. According to the 2011 National Household Survey, over 70,000 British Columbians identify French as a mother tongue, while some 300,000 residents of the province are able to use the language. Since its beginnings, this community has been characterized by its social and cultural diversity as well as by its geographic dispersion around the province. The arrival of European settlers in what is now known as British Columbia began with the expansion of the fur trade to the west of the Rocky Mountains at the very end of the 18th century. The Northwest Company (NWC), based in Montréal, successively dispatched explorers Alexander Mackenzie, Simon Fraser and David Thompson to search for a passage through the mountains. The company’s intention was to find an efficient route connecting central Canada to the Pacific Coast, thereby expanding its trading territory. These three anglophone names are widely associated with the origins of modern British Columbia. The success of their expeditions, however, relied in large part on the work of guides, paddlers and interpreters performed by employees of the NWC. For the most part, these workers were francophones, hired in Montréal before being sent west. They included French Canadians, as well as Métis, Iroquois and members of other Aboriginal communities who spoke French and had participated in earlier trading expeditions on the Canadian Prairies. Fraser was the first to descend the river that bears his name, and founded the earliest settlements in central BC (courtesy PABC). 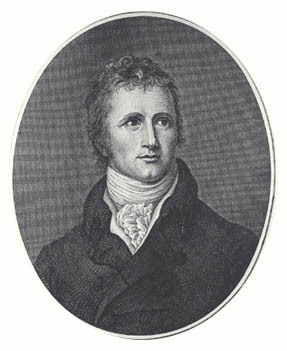 Scottish-born Alexander Mackenzie was the first NWC officer sent to the region. In 1793, he travelled from Fort Chipewyan in Alberta to the present site of Bella Coola on the Pacific Coast. In his travel journal, Mackenzie wrote at length about the voyageurs accompanying him on the journey. In addition to another Scottish employee, Alexander Mackay, and two unnamed Aboriginal guides, six francophones accompanied Mackenzie in his canoe: Joseph Landry, Charles Ducette, François Beaulieux, Baptiste Bisson, François Courtois and Jacques Beauchamp. Two years later, Fraser travelled along the river that now bears his name, once again relying on the work of francophone employees of the NWC. The party of 24 included Fraser, 19 voyageurs, two Aboriginal people and two company clerks. Eight of these voyageurs are named in Fraser’s journal: La Chapelle, Baptiste, D’Alaire, La Certe, Waka or Wacca (the nickname of Jean Baptiste Boucher), Bourboné (probably Bourbonnais), Gagnier and La Garde. The crew also included Jules-Maurice Quesnel, a French Canadian for whom the town of Quesnel is named. As a clerk in the NWC, Quesnel represents an exception to the typical division of labour whereby francophones generally performed manual labour while administrative positions were normally reserved for anglophones. In the meantime, David Thompson crossed the Rockies for the first time in 1807. Travelling down the Columbia River, he founded Kootenay House with four French Canadians: Moussau, Lussier, la Combe and a man named Beaulieu whom Thompson described as loyal and after whom he named a river. Thompson made numerous trips through the Rockies, accompanied by crews of up to ten voyageurs. It was under the impulse of the NWC-led fur trade that non-Aboriginal settlement began in the region, comprised in large part of francophone employees. Although the Hudson’s Bay Company (HBC) takeover of the NWC in 1821 resulted in a decrease in the number of francophone voyageurs hired, they continued to form a majority of settlers in fur trade posts located in areas such as the Fraser Valley, Vancouver Island and as far north as the Yukon. 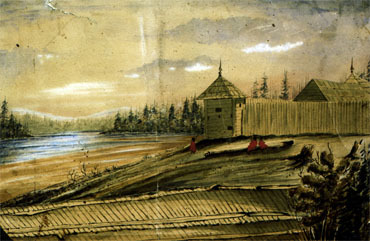 British Columbia was declared a colony here, at Fort Langley, 19 Nov 1858 (painting by William Henry Newton Image, courtesy BC Archives/PDP00029). At the Fort Langley trading post, where British Columbia officially became a British colony in 1858, numerous francophones worked as farmers. One of them, a blacksmith named Étienne Pepin was placed in charge of the fort’s farming operations. Although the colonial bourgeoisie primarily spoke English, French was nonetheless heard in the homes of some elites, including that of James Douglas. 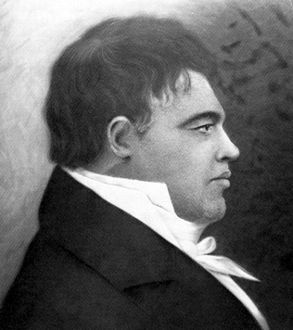 Chief factor of the HBC before being named governor of Vancouver Island then of British Columbia, Douglas, himself of mixed British and Caribbean origins, spoke French with his wife, a Métis woman named Amelia Connolly, and occasionally used French in conducting official colonial business. While Aboriginal languages as well as Chinook, Gaelic, Hawaiian and English were widely used in the region, French was the lingua franca of the fur trade. In 1846, Great Britain negotiated the Oregon Treaty, which halted American expansion at the 49th parallel. Many historians consider that it was because of the work accomplished by these first generations of francophones that British Columbia did not become a part of the United States. The arrival of settlers working in the fur trade soon began to draw Christian missionaries to the region. 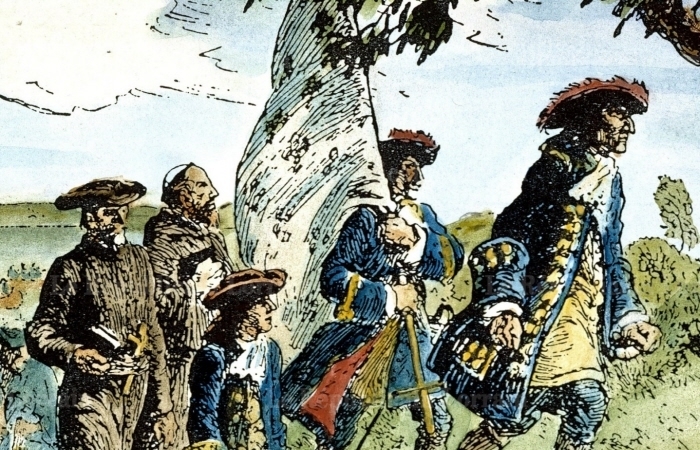 Because most of these settlers spoke French and had Roman Catholic backgrounds, the colony was particularly attractive for missionaries from Québec, as well as from France and Belgium. In 1838, two priests, Norbert Blanchet and Modeste Demers were sent from Québec to Fort Vancouver (today Vancouver, Washington) with instructions to convert local Aboriginal people to Catholicism and to bring the French Canadian voyageurs in the region back into the Church’s fold. Following the 1846 border treaty, Demers was sent to Vancouver Island, becoming the colony’s first bishop and attracting members of two religious congregations: the Oblates of Mary Immaculate, a masculine order based in France, and the Sisters of St. Ann, an order that had recently been founded in Vaudreuil, near Montréal. Upon their arrival, the Sisters of St. Ann immediately began educating the Aboriginal, Métis, French and English Canadian children of the colony, opening a classroom in their small log cabin. For their part, the Oblates set about establishing missions intended to impose a European lifestyle on Aboriginal communities. These settlements formed the basis of many British Columbia cities, including Mission and Kelowna. Initially, members of these religions organizations primarily used French in conducting their activities, but as English became the primary language spoken in British Columbia, they increasingly turned to anglophone recruits. As news of the discovery of gold on the Fraser River began to spread in 1858, migration to the region began to increase dramatically. Thousands of miners arrived from California, where gold was becoming increasingly scarce, while others came from across North America and Europe. Although the gold rush was brief, the massive inflow of immigrants it produced laid the foundations of a multicultural province with an increasingly diversified economy that would enter the Canadian Confederation in 1871. These changes had significant consequences for the province’s francophones, who soon lost their status as the primary non-Aboriginal linguistic group. The effects of these transformations were especially felt in the south of the province, where most of the population was concentrated. Further north, in more isolated areas, fur trade outposts continued to be operated in French, although growing numbers of HBC employees began leaving the company in hope of finding their fortune in the waters of the Fraser. After the gold rush, francophones from Québec and Europe continued to migrate to the region, though in a smaller proportion relative to the overall population. These new settlers no longer found themselves limited to the fur trade or to missionary activities, participating in various sectors of a changing economy. 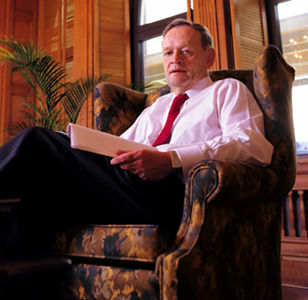 One example is that of Jean Caux, also known as Cataline. Before the construction of railroads in the area, he became one of the most well-known mule packers in the region, using teams of up to 100 animals to bring supplies to the farthest reaches of the colony. 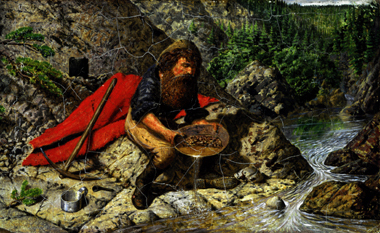 With the diversification of the local economy, the resource sector increasingly attracted French Canadian migrants searching for work in the British Columbia’s forests and mines. At the beginning of the 20th century, francophone Canadian Pacific Railway workers also established small farming communities, particularly in the Fraser Valley, where towns bearing names like Deroche and Durieu still exist. During this period, the largest concentration of francophones could be found in the community of Maillardville, located within the city of Coquitlam on the outskirts of Vancouver. Racist attitudes of the period led the owners of the Canadian Western Lumber Company to let go of its Asian workforce (see Chinese Canadians, South Asian Canadians). Company officials sent a francophone employee along with a Catholic priest to Québec and Eastern Ontario with the aim of recruiting experienced French Canadian lumber workers. In exchange for advantageous salaries, affordable lots and construction materials, some 40 families arrived in 1909, with a second contingent arriving the following year. A francophone village named in honour of the village’s first priest, a French Oblate called Edmond Maillard, rapidly took shape as churches, schools, businesses and cultural institutions were built. In 1931, a two-month strike in local sawmills mobilized the francophone community, its ranks growing with the arrival of French Canadian farmers fleeing the drought on the Prairies, where they had been based. Since the 1960s, Maillardville has largely become anglicized, though numerous descendants of these families continue to live there. A handful of original houses, built of wood in typical French Canadian style, continue to provide a memory of this presence. Outside the enclave of Maillardville, the francophone community’s dispersion across British Columbia led its members to consolidate its growing ranks by forming, in 1945, the Fédération canadienne-française de la Colombie-Britannique (today Fédération des francophones de la Colombie-Britannique, FFCB). The organization’s goal was to give a collective voice to numerous local associations. It organized a weekly radio broadcast, offered French language classes and supported musical and theatrical productions. For their part, residents of French background tended to gravitate toward the Alliance française, an international cultural organization whose Vancouver branch has been active since 1904. 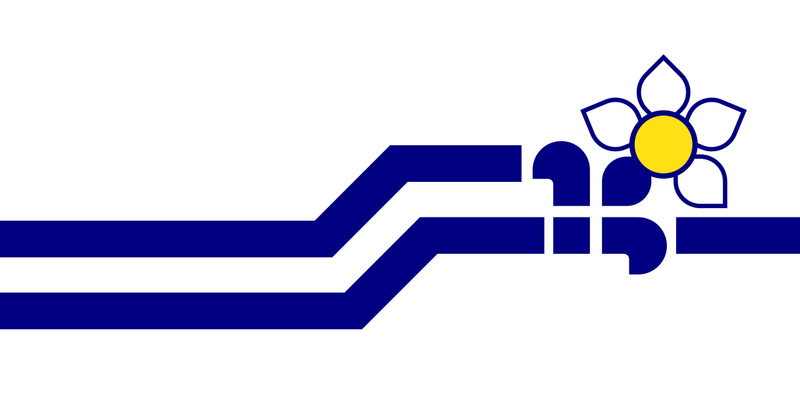 During the 1960s, the FFCB concentrated its energies on a long-winded battle to obtain public francophone schools in the province. At the time, the provincial government recognized only non-confessional educational establishments, thereby excluding three parish schools located in Maillardville and Vancouver, which were forced to operate without formal status. In the context of growing secularization and the adoption of official bilingualism by the federal government, and despite the opposition of some members, the FFCB ceased to request funding for Catholic schools, lobbying instead for the creation of public French-language schools. Although the first French immersion programs to open were successful in recruiting students, these classes were primarily designed for anglophone families who wanted their children to learn French as a second language. The francophone community thus began to actively lobby for schools in which francophone children could be educated in their first language. The community’s first victory was achieved in 1978 with the official announcement of the Programme cadre de français (PCF), through which francophone classes would be opened within English-language schools. The success of the PCF, along with new constitutional guarantees inscribed in the 1982 Canadian Charter of Rights and Freedoms, inspired the FFCB and francophone parents to continue pushing for a separate system, managed independently from anglophone school boards. It was only after several years of lobbying the provincial government and of courtroom battles led by the Fédération des parents francophones de la Colombie-Britannique (FPFCB) that the Conseil scolaire francophone (CSF) was created in 1995. In 2016, over 5,500 students were registered in the CSF’s 37 elementary and secondary schools spread across British Columbia. In 2010, the CSF and several parents initiated new court proceedings, still before the courts at the time of writing, arguing that the funding received by francophone schools in the province is not equivalent to that received by their anglophone counterparts. Since the adoption of the Official Languages Act in 1969, British Columbia’s francophone community has also called for better access to French-language services in the areas of justice, health and other federal jurisdictions, as well as for more extensive broadcasting from Radio-Canada. In the context of the constitutional negotiations that dominated the national political scene in the 1980s and 1990s, the FFCB urged governments at all levels to better recognize the needs of the community in its battle to limit linguistic assimilation, the rates of which have been particularly high in the province. This linguistic identity expresses itself through diverse community, cultural, educational, business and social support organizations that offer services and activities in French across the province. 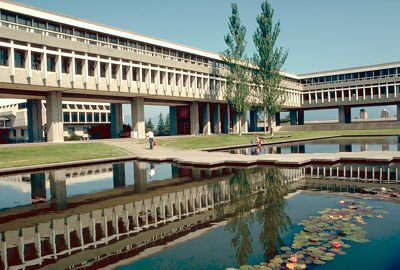 Beyond primary and secondary-level education, postsecondary programs are offered in French at Simon Fraser University and Collège Éducacentre. Despite the closure of Le Soleil de Colombie-Britannqiue in 1998, then of L’Express du Pacifique in 2011, Radio-Canada’s regional services and the bilingual newspaper The/La Source continue to cover current events in British Columbia’s francophone community. Numerous organizations offer specialized services, including La Boussole, which assists francophones in need, Réseau-Femmes, which supports francophone women, and the Société de développement économique, geared toward francophone entrepreneurs. Across the province, francophones of all backgrounds partake in cultural and social activities put on by local associations. On the cultural front, the Festival du Bois celebrates musical and culinary traditions from across Canada and abroad, the Théâtre la Seizième and the Rendez-vous du cinéma entertain with diverse programming, and the Société historique francophone preserves the community’s archives. These archives tell the story of modern British Columbia’s francophone origins in the fur trade and in the colonization of Canada’s Pacific Coast by people of European origin. Place names in French associated with that era continue to exist across the province, but the face of this community has never ceased to change over the last two centuries. Laurette Agnew et al., Présence francophone à Victoria, CB (Victoria: Association historique francophone de Victoria, 1987). Jean Barman, French Canadians, Furs, and Indigenous Women in the Making of the Pacific Northwest (Vancouver: University of British Columbia Press, 2014). Glen Cowley, Le fait français en Colombie-Britannique (Vancouver: Société historique Franco-colombienne, 1979). Florence Debeugny, Maillardville : 100 ans et plus – 100 Years and Beyond (Coquitlam: Société francophone de Maillardville, 2009). Fédération des francophones hors Québec, Les héritiers de Lord Durham, tome 2 (Section Fédération des Franco-Colombiens, 1977). George Goulet et Terry Goulet, The Métis in British Columbia: From Fur Trade Outposts to Colony (Calgary: FabJob, 2008). Willard Ireland, “The French in British Columbia,” British Columbia Historical Quarterly, vol. 13, no 2 (1949): 67-90. Catherine Lengyel and Dominic Watson, La situation de la langue française en Colombie-Britannique (Québec: Conseil de la langue française, 1983). Donat Levasseur, Les Oblats de Marie Immaculée dans l'Ouest et le Nord du Canada, 1845-1967: esquisse historique (Edmonton: University of Alberta Press, 1995). Alexander Mackenzie (edited by William Kaye Lamb), The Journals and Letters of Sir Alexander Mackenzie (Cambridge: Cambridge University Press, 1970). Helen Raptis and Thomas Fleming, “From 'La Plume de Ma Tante' to 'Parlez-Vous Français?' The Making of French Language Policy in British Columbia, 1945-1982,” Canadian Journal of Educational Administration and Policy, no 28 (2004). Edmond Rivère (translated by Lorin Card), Father Pandosy: Pioneer of Faith in the Northwest (Vancouver: Midtown Press, 2012). Bruce McIntyre Watson, Lives Lived West of the Divide: A Biographical Dictionary of Fur Traders Working West of the Rockies, 1793-1858, 3 vol. (Kelowna: Centre for Social, Spatial, and Economic Justice University of British Columbia, 2010).